Average temperature in Lapland was five degrees higher than normal. In Finnmark, on Norway’s Barents Sea coast, August started just like July ended. With temperatures well above 30°C. Lakselv measured 31,8°C and Tana had 32,3°C. Never before has such heat been measured in August in Noway’s northernmost county. Kirkenes, where the Barents Observer is located, had 31°C. Exceptionally high temperatures, normal for the Mediterranean, have this summer become the normal for the land north of the Arctic Circle. The map below, made by the Climate Change Institute with the University of Maine, tells the story. The top of Europe is currently heating up like few other places on earth. The colors indicate temperature anomaly, the darker red, the warmer than normal. And yes, the North Calotte, the northernmost part of Scandinavia, is the darkest. Temperature anomaly on August 1st. The darker red, the larger deviation from normal. Map by Climate Reanalyzer / Climate Change Institute, University of Maine. Finland’s Meteorological Institute can tell that throughout July, average temperature in Lapland was five degrees Celsius higher than average since comparable measuring started at the beginning of the 20th century. For example, near Sodankylä well north of the Arctic Circle, the average temperature in July was 20,1°C. That is the highest observation there in a 111-years history. Previous record from 1925 was exceeded by 1,6°C. Lapland was higher above average than the rest of Finland which also had extreme heat, 4°C more than normal. Also Norway’s Meteorological Institute reports about a 4°C higher than normal average for the whole country in July. “We are boiling” reads a headline in local news agency Severpost on Russia’s Kola Peninsula. The article tells about shops closing in Murmansk, no customers go shopping when temperatures are over 30 degrees, a shop owner says. On August 1st, Murmansk city temperature was measured to 30,2°C, highest ever August heat in Russia’s largest city above the Arctic Circle. 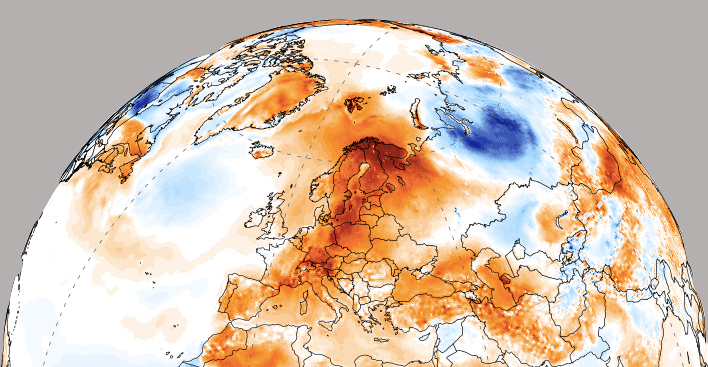 In Northern Sweden, the heat wave changes the country’s geography. Kebnekaise, the highest mountain massif in the country, has two main peaks, of which the southern glaciated is the highest at 2,097,5 meters, while the northern peak is 2,096,8 meters. Well, that was before this summers heat. Regional newspaper Norrbotten Socialdemokraten (NSD) could Wednesday inform that the glacier on the southern peak has smelted so much that the northern peak now is the highest in Sweden. “In average has the glacier on the southern peak melted 14 centimeters each day,” says Carl Lundberg with the Tarfala research station. He estimates that the sout peak will be lower than the north on Wednesday or Thursday. Finnmark has an average temperature in July of 14,2°C, four degrees above normal. In Troms, heat record was measured at Bardufoss on July 18th with 33,5°C. 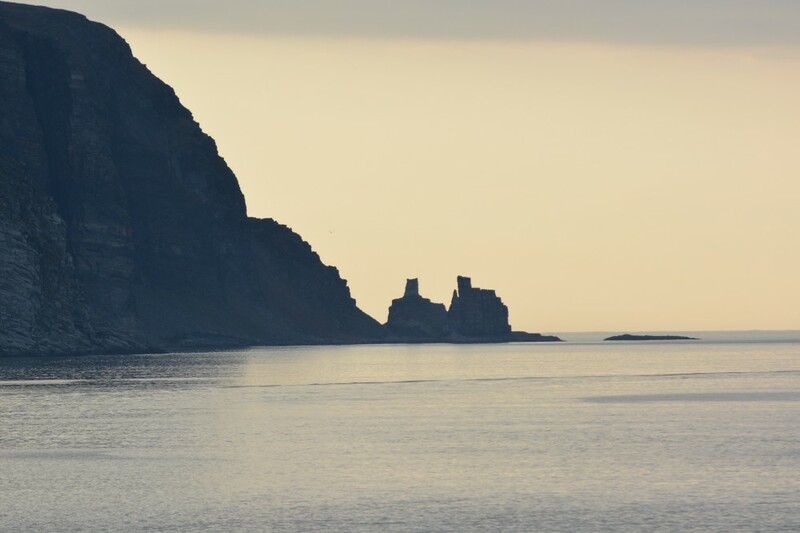 On the last day of July, temperatures were up to 29°C at 70°North on the Nordkyn Peninsula.